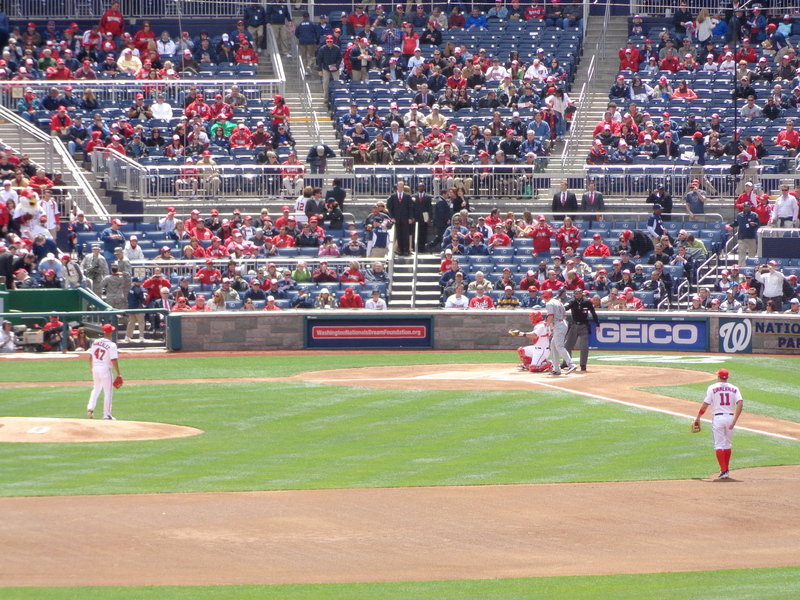 I took a vacation day today so I could attend the Washington Nationals‘ home opener against the Cincinnati Reds. This was my second home opener and this one was a much better experience (you can read about the other one here). 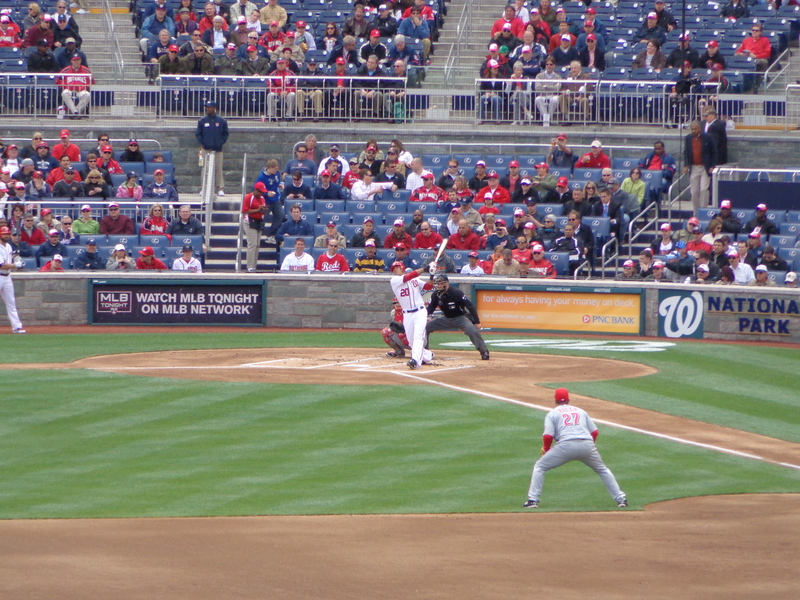 The Nationals ended up winning 3-2 in 10 innings on a walk-off wild pitch. 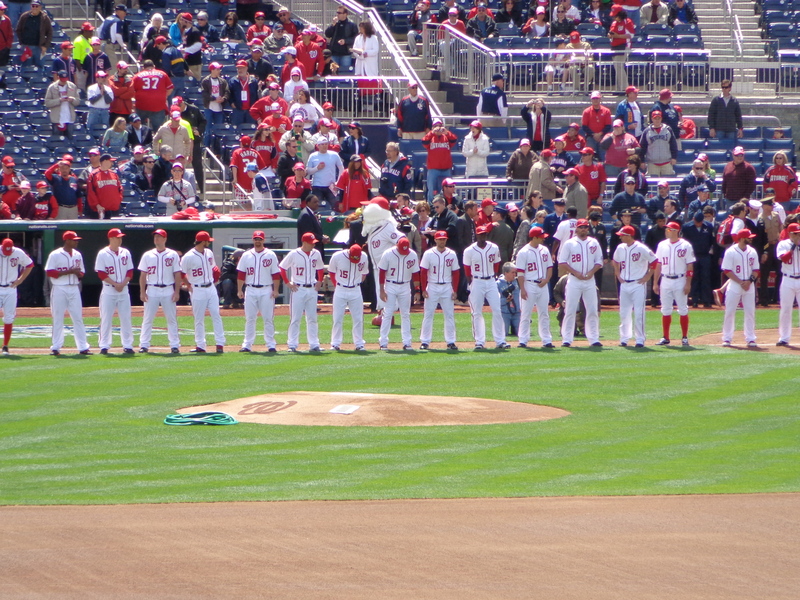 It was not an especially well-played game by either team, but the weather was beautiful and it was a nice day to be at the ballpark. With the win, the Nationals stay in first place in the NL East. They also have, at 5-2, their best start to a season since they moved to D.C. from Montreal. In addition to the home opener, I bought a 5 Game Flex Plan this year. 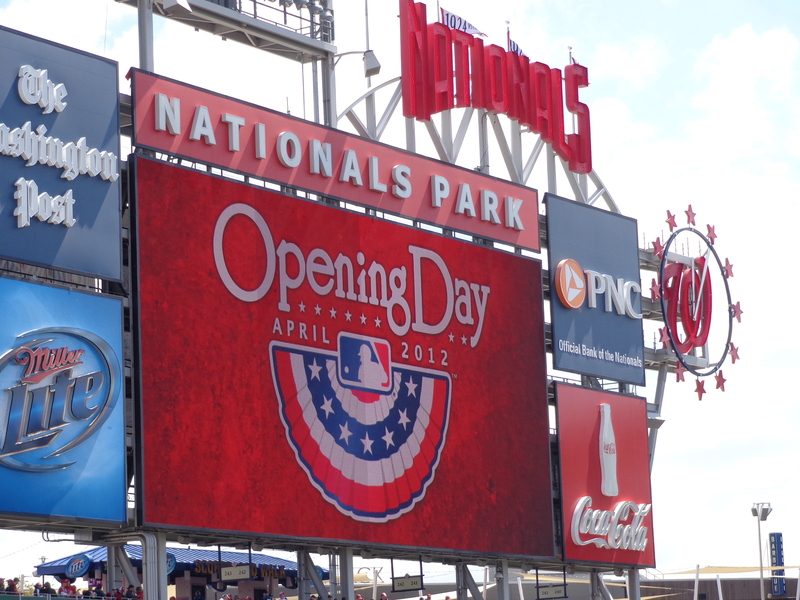 I’ll see the Nats take on the Yankees, the Rays, the Giants, the Braves, and one more team I haven’t picked yet. Next up is the Yankees in June. 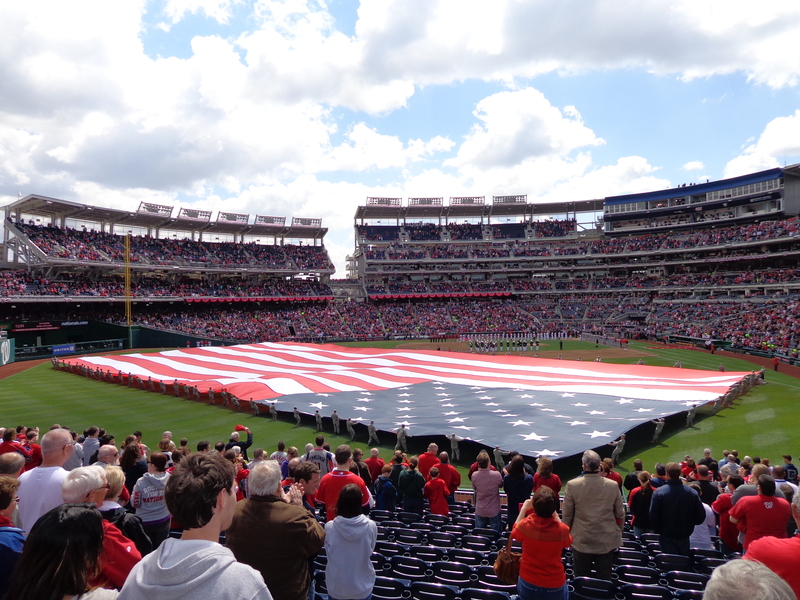 Here’s to hoping the Nats can fight through their injury woes (Morse and Storen) and keep playing well.